2014 January 2nd Happy New Year to all our visitors! 30th Thanks for all the feedback on the info from Thursday – much appreciated! See the rather different angle on upcoming cameras on the 1D x mk2 page. 28th We’re told [thanks] that the 5D mk4 will push towards higher specs, and that Canon’s new ‘studio camera’ will be the one to ‘maximise total image quality’. The point was that there will be no 3D and that by early 2015 there would be 4 full frame cameras (6/5/1/1s) available, two of which would be announced next year. The info is said to have come from a recent high level dealer presentation in Japan (i.e. snr. execs) and when asked about potential medium format the only response was that it was ‘still an option’. Note that despite how this has been reported elsewhere,we were only told that 4 FF cameras would be available – not what they were, or what the -two- for next year would be. 25th In an update, we’re told that the ‘high end DSLRs’ mentioned yesterday are slated for the run-up to photokina, whilst the EOS video range will be updated sooner. Back in the non-rumour world I’ve been testing the Samyang 14mm lens a bit more and have posted quite a few sample shots on my G+ page. Given its noticeable distortions (even though sharp and fairly CA free) only a few shots show it up. This was aparently picked up in a discussion at the recent Inter BEE show in Japan where Canon people have been singing the praises of the new dual pixel AF in the C100 and C300. Since video still falls into the ‘interesting, but no real use to me’ category of camera functionality, I’m not as well up on devolopments in this area as I could be. White and grey Kiss 7 launched in Japan [Canon Japan – Goog xlt] Two white (non ‘L’) lenses too (EF 40mm and 18-55 STW). Specs are as per black version. 12th Over the years, I’ve been a regular visitor to the Focus show at the NEC in Birmingham. Unfortunately, this year’s was the last. 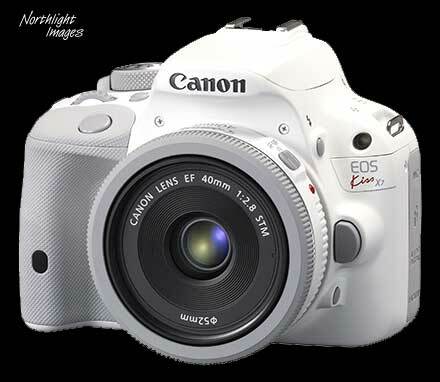 11th Canon Japan mention a ‘white Kiss’ [DCI] – so it looks as if the big announcement will be a white camera – Yay! Meanwhile, a Canon patent [EG – Goog xlt] looks at using the split pixel design (70D) for having pixels of differing sensitivity/size. One way for increasing dynamic range comes from smart combination of two differing pixel outputs, although there are issues with the angle of light entry from different lenses. It looks as if ‘dual pixel’ might be part of Canon’s push to address some of the sensor performance issues that some perceive? So, a white version of a Rebel (xxxD) sized camera? An SL2 already? Some marketing wheeze connected with the winter olympics? 6th Whilst we’ve seen a few big firmware updates for cameras, Canon is going to be offering a sensor update (to a 70D style dual pixel AF sensor) next year, for $500. The 5D3 gets a firmware update to V1.2.3 – assorted fixes. 26th Seems that Pentax will eventually bring out a FF camera, and the Mk2 version of the 645 will be along some time [PR] The 645 is a long running story …see the Digital MF page for more. “Point, shoot, collapse: Why big camera companies are the next BlackBerry”. Full details on 1D X page. 22nd In an interesting set of comments from different sources (thanks – more details appreciated ;-), we’re told that Canon is not going to jump on the ‘retro’ bandwagon and that the heart of their interchangeable lens camera strategy, will be just that – the lenses. 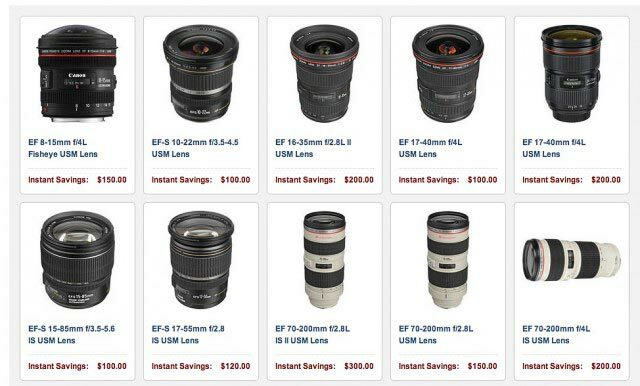 A key part of next year’s plans will be to ‘fill out’ the EF lens range still further. Canon knows that the right lenses can create a longer lasting ‘brand stickiness’. From my own POV I have to agree about the lenses, and it will be interesting to see how things progress once the froth of the recent Sony announcements dies down. There has been a rush of Nikon ‘retro SLR’ type rumours over the last few days, including the suggestion that the camera won’t have video. Possible of course, but not one I’d put too much of a bet on. The timeline below is still a good guide to the more obvious replacements. 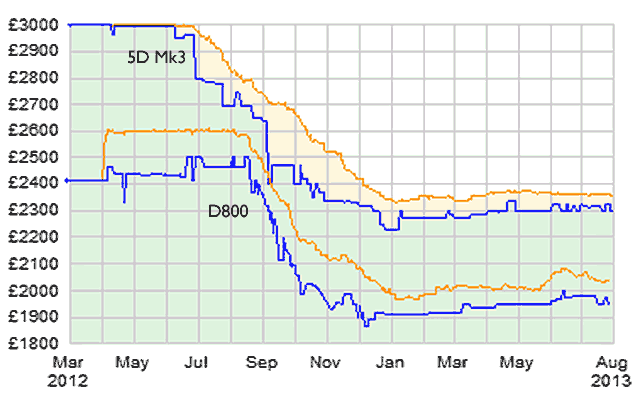 If it sells well, can we expect the long overdue D400 or even the 7D mk2? 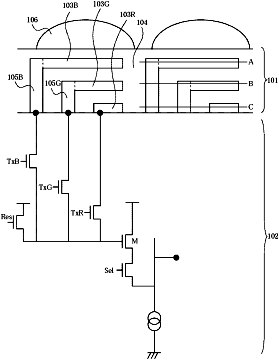 27th Swappable sensor patent from Nikon [EG Goog xlt.] addresses issues of alignment. Time to look at that timeline again. Replacements due? 1D X – maybe an announcement in late 2014, but 2015 wouldn’t surprise me. 3D and MF – I’m told that ‘preview’ announcement are out, given the chilling effect on already low sales. Such announcements will come ‘in due course’ particularly when there is something for them to work against. 7D2 – Outside chance this year, but looks 2014. Is there a link between the long life of the 7D and the D300/S ? 100D – no idea, how’s it been selling? 1100D/T3 – Who wants one? Digic 6 processing – half expected for the 70D, perhaps to appear in the 750D and an EOS-M next year. 18th The lull continues with ongoing mentions of an EOS-M replacement (or two). No signs of any DSLR or EF lens announcements on the way from Canon at the moment. A new Nikon 1 may be along this week, whilst the D600 price has dropped and the D5100 is listed as discontinued. Canon have announced some very low light video using a specially developed 35mm sensor. 30th DxOMark passes comment on the 70D sensor comapred to the previous 18MP versions. “A DxOMark Sensor score of 68 is good for a Canon APS-C size sensor in fact it’s the best score the firm has achieved with this sensor size to date, but that’s only two points up on the best previous score of 66 points. Turn it on for video, off for stills. 24th One Canon strategy to counteract falling DSLR sales … sell more security cameras! ‘”A major focus for the next phase is increasing our business-to-business (B2B) sales, and of course security cameras – which is a huge market – is part of that,” Canon President and CEO Fujio Mitarai said in an interview. I’ve been asked what the significance of the patent shown yesterday is? See last year’s Chipworks article about Canon sensors for more. 23rd There is a new Canon 70D technical report at the Canon camera museum. 22nd With Nikon looking to more profitable products [Nikon], what will we from Canon as a response? I somehow don’t think it’s just more point and click cameras and the G16 we’ve seen announced today. 16th Does the recent decline in DSLR sales signify (yet) another big change in photography? I’ve been looking at some of the figures and wondering just what it might mean? Camera sales fall – why do you still take photos? Note – I’ve added a comment system (Disqus) to the article – it’s an experiment for longer (i.e. not ‘blog’) articles on this site, so if it works, I could roll it out further? Please do feel free to email me with any comments/observations. 15th Canon win EISA awards for the 100D, 6D and 200-400 lens. Who are these people and where do they lunch? Original data is from the useful CameraPriceBuster site – some slight inaccuracies will come from my adding together the two graphs. Meanwhile, Thom Hogan pulls apart the Canon and Nikon sales numbers [TH] and the picture for Canon and Nikon is not exactly rosy. 7th Interesting article at Chipworks about the state of sensor design (see also PDF article). In the US, rebates on the 6D and 100D (SL1) have been extended though to the end of August (full details on 6D and 100D pages). As to announcements in August – the photo sharing options and a few point’n’shoot cameras seem the current favourites. Plenty of candidates, but with the recent fire sale of the EOS-M, I’d put it towards the top of the list. Yes, I’d like a ’75MP’ 1 series, but I’m not holding my breath …oh, and the 7D2 as well. Resolves a phenomenon in which “Err 70″ may be displayed when the shutter is released without a lens attached. There is also a Canon Europe announcement tomorrow ‘Your audience is waiting‘. See also Canon Youtube video. 29th A while ago, I reviewed the beta version of Kuuvik capture, a Canon camera tethering software package that includes features such as focus peaking. It’s now at V1.1 and has added focus stacking and wireless control (for some cameras). There is also a US Panasonic patent (PDF) that describes using light that’s gone through the imageing pixel layer fro AF use. 28th More sensor patents – this time from Toshiba [EG Goog xlt.] looks at reflecting light around after microlens to achieve colour separation. Other versions look at different arrangements of stacking sensor elements, so you could have a main green and stacked R/B arrangement. As to when (if) any of these non-Bayer solutions appear, I just recall all the predictions of the demise of Bayer, when Foveon appeared a few years ago, and remember that there has been a lot of development money put into Bayer style sensors over the years. “This is not just a new technology. It is a revolution that will significantly expand the possibilities of DSLR cameras. Looks like we’re going to see it pretty widely adopted. I see this as softening the ground for moving to EVFs, initially at the lower end of the range – if the 1100D gets replaced, I’d not be surprised to see it there first in the SLR range. Whilst on the ‘how many pixels?’ line, an upcoming Sony SLT may feature a new 32MP sensor an 8-14FPS [SAR] (~72MP on FF if that’s APS-C). 24th Big megapixel numbers are in vogue again (75 at the 1DXs page) These seem to have firmly killed off any talk of Canon and medium format. We’re still hearing that there are 2 Canon DSLRs left for announcement, although I’d not be totally surprised if nothing appears until 2014. If you’re looking for a large printer, I’ve finally finished my review of the Canon iPF6450 24″ printer – about the longest printer review I’ve written to date. Questions welcome! 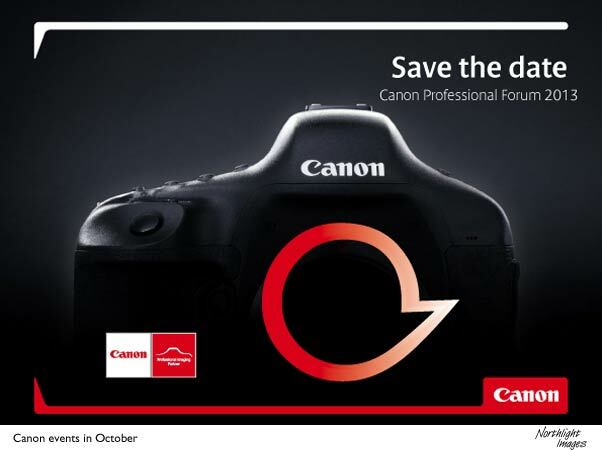 17th Canon in Germany have a video teaser for a new product(s) at the end of the month (31st) [PB] probably consumer related, but we’re hearing that an update to the EOS-M is not far away. The rumour world seems to be spraying model numbers around, with a mention of an 8D (first for some time). Have a look at the Timeline below to get a feel for how long various cameras have been round. 2nd The 70D is announced and the ‘bet the farm’ feature is a dual pixel design that allows any pixel to be used for AF. Not much use for conventional DSLR use, but a boon to the hold it at arms length/video users. 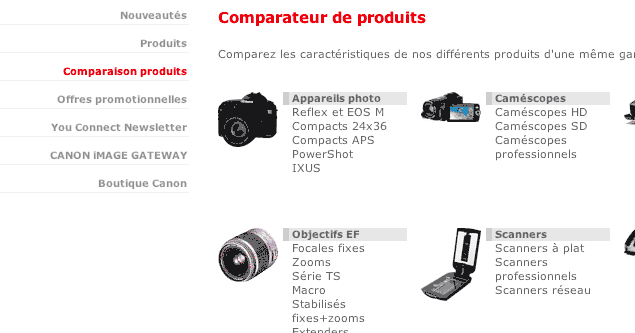 Interestingly Canon have been surveying users about compact/system cameras and the 1D series. Is there more to come than the 70D before too long? 24th We’re told (thanks) that Canon have been summoning inviting some people from dealers for a ‘big’ product launch within the 6-8 week timeframe. If so, expect to see some more serious leaks within the next couple of weeks. No details of just what was meant by ‘big’, since in PR speak that could be anything! I’ve just finished a review of the Topaz Clarity plugin – some useful contrast/tone editing functionality. Rumours are so thin on the ground that a blurred out camera and a possible ‘3’ on a neckstrap wakes up the high MP Canon DSLR rumour mill. Pics on EOS 3D page. 9th Next time you’re thinking of shooting video at a concert – be very careful if laser light gets into your lens. The breaking of the RED EPIC video sensor wasn’t cheap (and good luck in getting anyone to accept liability) see ISW for a discussion about the mechanisms and some examples. 7th Canon are again promoting their summer rebate scheme, here in the UK – running until the end of July. I’ve heard elsewhere that the 650D has been pulled from many stores, since the 650D/700D differences are so slight. Whether this indicates that the 24-105 f4L IS is on its way out is unsure. 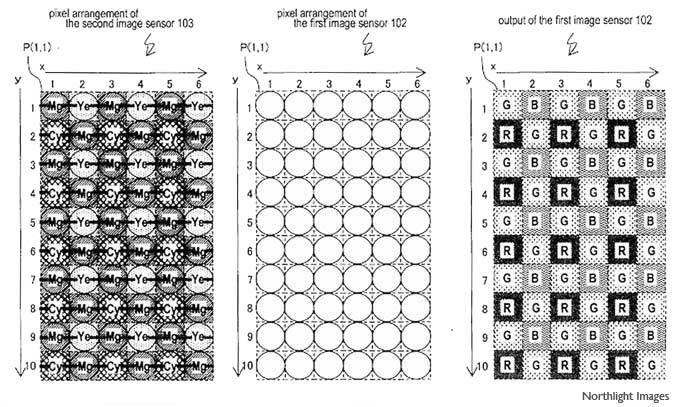 22nd A Canon patent from July 2011 showed a 3 layer ‘foveon style’ sensor (right). This followed on from a 2009 sensor patent that appeared in the metering system of the 7D. A new version has now appeared [EG-xlt] which moves this forward. Compared to the earlier version, parts have been turned upside down, although it is still B-G-R from top to bottom. 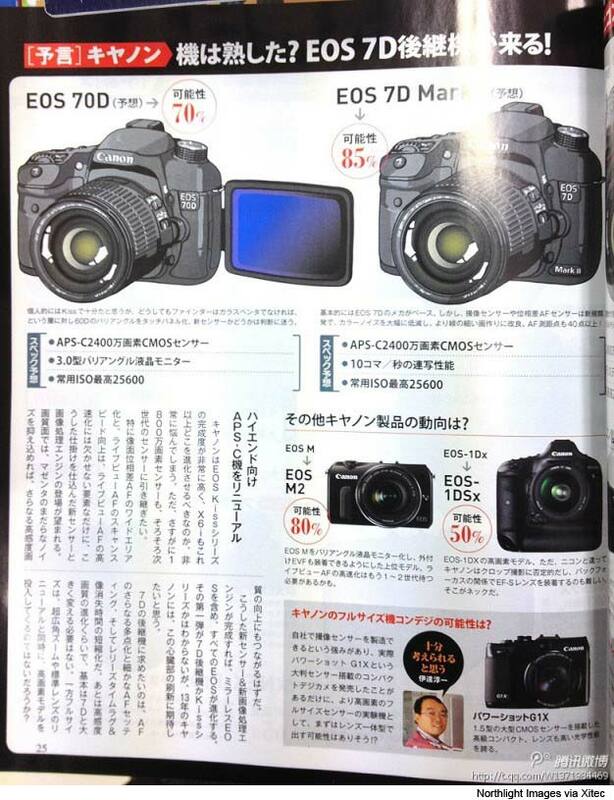 We’ve now had several mentions of an upcoming 70D in early August. I note that several sites seem to be suggesting different versions of this, but as far as I can see they are based on the CR comments. 12th We’re told (thanks) not to expect any DSLRs until August and that the EOS-M is next up for re-vamp. Whilst this fits with all the current rebates (UK 60D/7D till end May, Germany till end July), DSLR related info has been very thin on the ground of late. I’ve never looked at the data, but have cameras in rebate/cashback schemes had replacements announced during the scheme before? 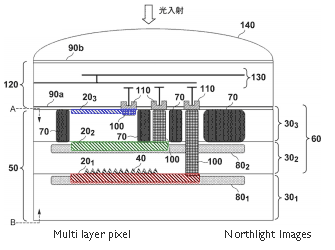 Canon also have a patent for image sensor shifting [EG-xlt] not anti shake, but higher resolution as in multishot backs. As yet, we’ve not heard similar – both the 7D and 60D are still in rebate schemes. If the 70D is to the 60D, in the same way the 700D is to the 650D then that leaves a lot of people looking for a ‘real’ update. Whilst on the subject of updates, it’s worth noting how Canon DxOMark scores for APS-C sensors have been static for several years, whilst Nikon scores have been steadily rising. When are we going to see more than yet another 18MP APS-C version? 2nd A UK cashback scheme runs until 31st July – does not include 60D/7D, unlike the German one from a few days ago. 28th A new cashback scheme starts the first of May in Germany and runs until 31st July, given it includes the 60D and 7D, I’d suspect that we’re not seeing any new 70D/7D2 for a bit? EOS-M relaunch anyone? 16th US rebates run until the 27th, whilst in the UK, they run to the 31st of May and include the 60D. There are suggestions that the 70D will come next week and include yet another version of the 18MP sensor. I do recall that the 7D appeared with quite a lot of new technologies in it (transmissive LCD VF, iFCL metering and that 18MP sensor) A relatively pedestrian 70D update might be seen as heading off, for a bit longer, some 7D users looking to update. 14th New US rebate scheme. It includes the 5D Mark III and 6D) runs until April the 27th. Full set of info is at B&H Photo. V1.1.3 fixes minor date/time issues. #1 Have you seen this? At the heart of both models is Canon’s next generation DIGIC 6 image processor, enabling the capture of outstanding images in even the lowest of light conditions, as well as realistically smooth, Full HD movies at up to 60fps. Whether at a party or under moonlight, new DIGIC 6 ensures pictures are low on noise and perfectly-exposed, with up to 30 per cent more detail [@3200 ISO] captured than the models’ predecessors, without the need to use a flash or tripod. The HS System pairs the new DIGIC 6 processor with a 12.1 Megapixel high-sensitivity CMOS sensor to deliver exceptional images in low light, with minimal blur and noise, as well as wide dynamic range – perfect for capturing shadowy detail as the sun sets on holiday. Using the DIGIC 6 processor and HS System, users can enjoy shooting with incredible ISO sensitivity, up to ISO 6400, with outstanding results. So, Digic 6 for the 70D and 7D mk2 ? I’ve also updated the Canon timeline below – what do the new cameras mean for the chance of a 1200D? 19th Can we expect new DSLRs later this year to include a Digic 6 processor? Some widely trailed specifications for a new Powershot camera include Digic 6 in the specifications. The 650D is not a year old yet, so a 700D but more likely 70D & 7Dmk2 could be a chance for a bigger jump in capabilities. … or with latest info, maybe the 700D will be sooner rather than later, and just a minor update. Oh, and Canon have lent me a PRO-10 printer for review – if anyone has any questions, please mail me directly? 18th A fairly detailed set of specs appear at Best Buy in the US for a new small 18MP DSLR – full details on the EOS100D/EOS-B page. 14th Canon have announced a range of workshops and classes in the US. 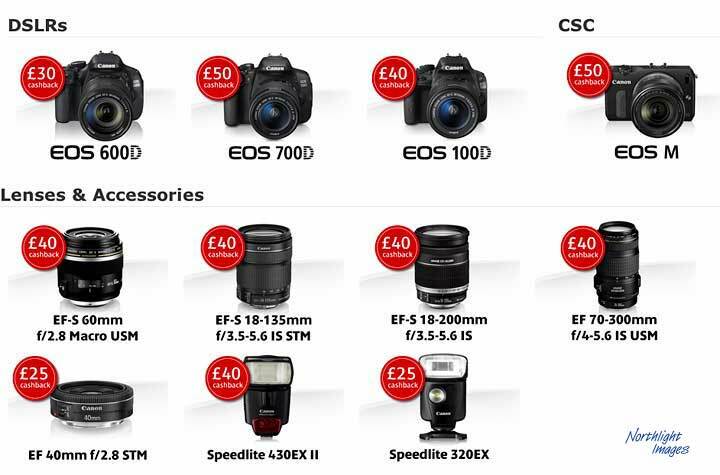 7th A UK Canon ‘Cashback ‘ scheme is starting today [Canon] – runs to the 31st of May. I note the presence of the 60D in the list – does this make a 70D announcement this month any less likely? A look at the Canon DSLR timeline certainly suggests that all three are due this year. With the recent D7100 from Nikon, the 60D is probably first up, and supply shortages go along with the suggestions we’ve had that a 70D is due this month. 20th Product advisory [Canon] for 1DX and 5D3 covering AF speed with speedlite assist – firmware fix due. The EOS 3D makes a welcome return in the list, rather than a 1D Xs, which has been more of a favourite of late. If you’re looking for a hgh MP Canon, I’d look at both pages where you can see the ebb and flow of rumours, although the 3D’s first mention goes back to 2004. Canon 70D for March, 700D for June, EOS Me for July, 7D Mk2 for August and an EOS 3D for October. 12th I’m looking at how to further develop aspects of the Northlight Images site and have been wondering, on the blog, about the future of the rumours pages – All thoughts welcome – Whither rumours? 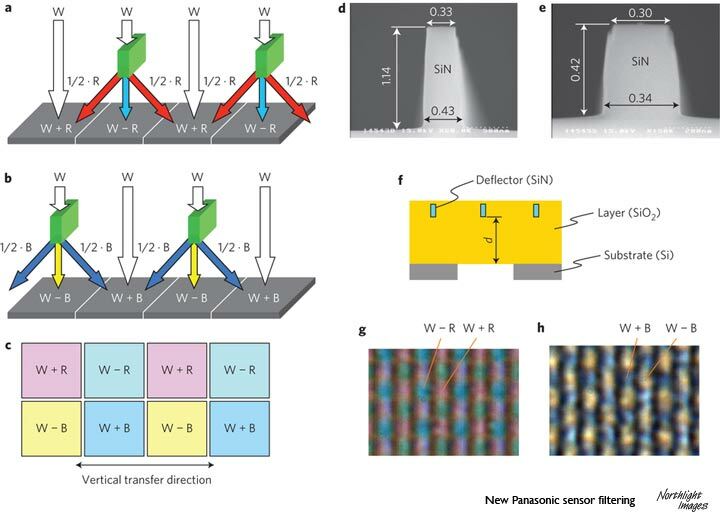 Panasonic come up with an ingenious way to remove the need for colour filter arrays in sensors, using refraction. That’s it for the moment from Canon? I’m working away at the moment, so my rumour checking is not as exhaustive as usual, but whatever might be coming is still well under wraps. 27th A suggested ‘roadmap’ at CR suggests 3 DSLRs and several lenses for 2013 – product age would suggest both a 7D2 and 70D, whilst the 650D will be a year old by June. Shortages of the 60D and the need to position any 70D well ahead of a new Rebel (aka 700D) would suggest the 70D first. The new firmware of the 7D last year, could give it enough life to last unil the autumn – although a prompt D400 from Nikon might shift that forward somewhat. I’d also not forget that the 1100D is now two years old and Digic4 powered, but I’d still push a 1200D back to 2014. Lenses… 200-400, 100-400, 35mm 1.4L II – all regulars on the rumour circuit. We’ve heard of something else entirely new in the ‘because we can’ category, but apart from the old shift lenses (45,90) no details. 23rd With the Japanese CP+ show a week or so away, there have been no consistent rumours of anything new. The 200-400 lens must get properly announced eventually, we will see more EOS-M lenses and bodies, and both the 60D and 7D are showing their age. Short supplies of the 60D do suggest that a 70D may be on its way, but with none of the usual flurry of leaked specs from the Far East as yet, it could be a while off. If anyone can work out what it’s actually saying from the Japanese, please do let me know? It seems that Sony may have another crack at it with their upcoming ‘flagship’ model [SAR] Perhaps this may spur Canon to have another go at it? I’ve never used it, but reports I’ve seen put it wery much into either ‘great’ or ‘useless’ categories, suggesting one reason Canon never included it in any EOS DSLR. The ‘next big thing’ in sensors could well be three layer sensors, in the Foveon style – this has been one of those ‘not yet’ technologies for quite some time now. The current Bayer style sensors have been getting better over the years, so any new technology has to jump in at at least the image quality we’re used to getting now. Lots of different options, including a mix of red/blue and green sensitive pixels (a sort of ‘half-bayer’ solution). I’ve also put some extra Canon battery notes on our blog, since Canon in the US have produced a guide to help people spot fakes. 14th It’s widely expected [CR] that Canon will announce some stores around the world tomorrow, but no sign of any camera or lenses at the moment. 1st A general collection of what to expect from Canon rumours appeared on the Xitec forum in China. Canon 7D Mark II may come with newly developed CMOS sensor, 10fps continuous shooting speed and ISO expendable upto 25600. Canon 70D will have same sensor / ISO range as 7D Mark II, but its continuous shooting speed limited to 3fps. Canon 1DSx is also expected to arrive at 2013. 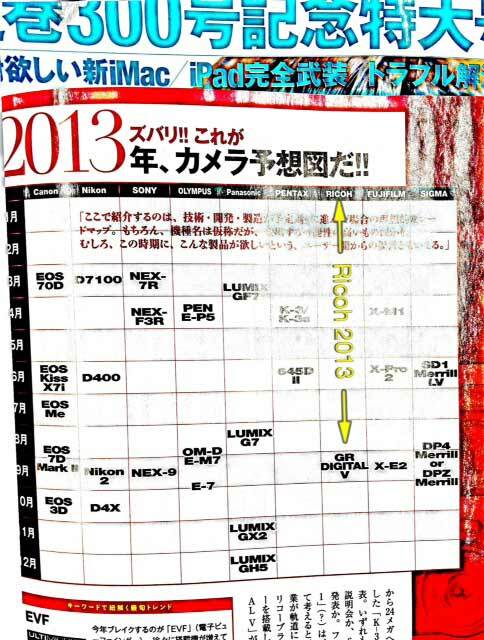 30th Lots of Japanese camera shipment numbers for 2012 have come out recently, both DSLR and mirrorless. BTW, I’ve also rounded off my collection of reviews of Nik Software’s plugins with a look at Dfine 2, for noise reduction. Not sure how it slipped through the net, but I’ve now got all of them up to date.